A meeting between NAWASA and the Grenada Technical and Allied Workers Union (TAWU) facilitated by representatives of the Government of Grenada, was held on Saturday, 30 December 2017 with a view to arriving at a settlement of the current impasse. 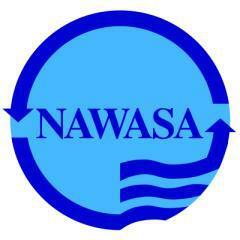 NAWASA is extremely disappointed that the matter remains unresolved, despite having made a significant shift in its position in the spirit of compromise. NAWASA has offered to make all contracted employees with more than 2 years of service permanent, with an option to ensure that such persons do not lose recognition for any year of service for which gratuity was not paid. Unfortunately, the union made no movements maintaining its original position; that ALL CONTRACTED EMPLOYEES (even those on contract for just a few months) must be made permanent, and that ALL appointments must be retroactive from the date of first contract, notwithstanding that gratuity was paid. The authority continues to view all employees as an integral part of the organisation. The board of directors and management team remain committed to the resolution of the outstanding matter and are prepared to have further discussions with the union.